Women’s cycling is having a moment. From Olympic heroines like Victoria Pendleton, through fashion designers, models and celebrities, to the super-cool girls on the street, everybody who is anybody is travelling on two wheels. This book will inspire you to join them. Cycling is a fun, healthy and inherently stylish hobby and form of transport with a long and rich history of empowering women. It has never been more fashionable and more accessible to just about everybody. Full of fun and inspiration, with gorgeous photography and quirky illustrations throughout. The Girl’s Guide to Life on Two Wheels is a practical and stylish guide to help you find the confidence and motivation to embrace cycling as part of your daily life. From choosing a bike and staying safe on the roads to looking great on two wheels and adopting the unique style cycling offers, Cathy Bussey will arm you with everything you need to get on your bike. 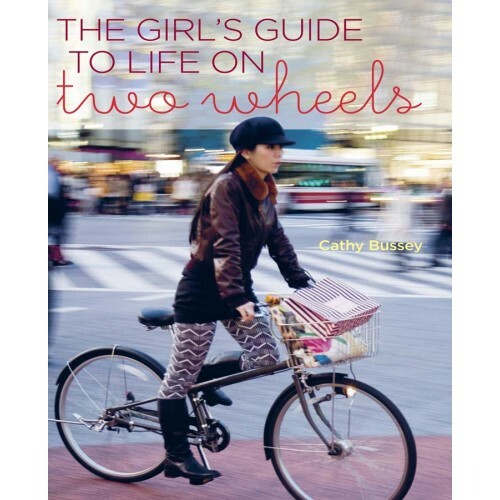 Whether you used to cycle as a kid or have never been on a bike in your life, no matter what age you are, where you live or how fit and active you are – if you’ve ever thought you’d love to cycle but ‘can’t’, this book will show you that you can, and you can do it in style. • Cycling is becoming increasingly popular, with more and more women taking it up to save money, beat the morning commute and keep fit, and bike manufacturers reporting a rapid increase in sales of women’s models. • Cathy’s Twitter handle @CathyBussey has close to 3,000 followers and she also writes a popular personal blog: www.cathybussey.blogspot.com.